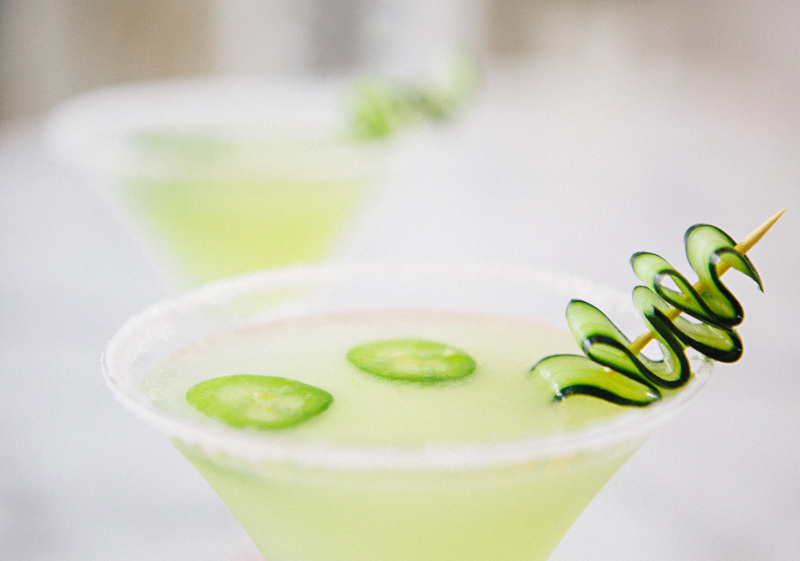 In a shaker, muddle lime wedges, jalapeños slices, cucumber slices, and simple syrup. Add ice, tequila, and cointreau to shaker. 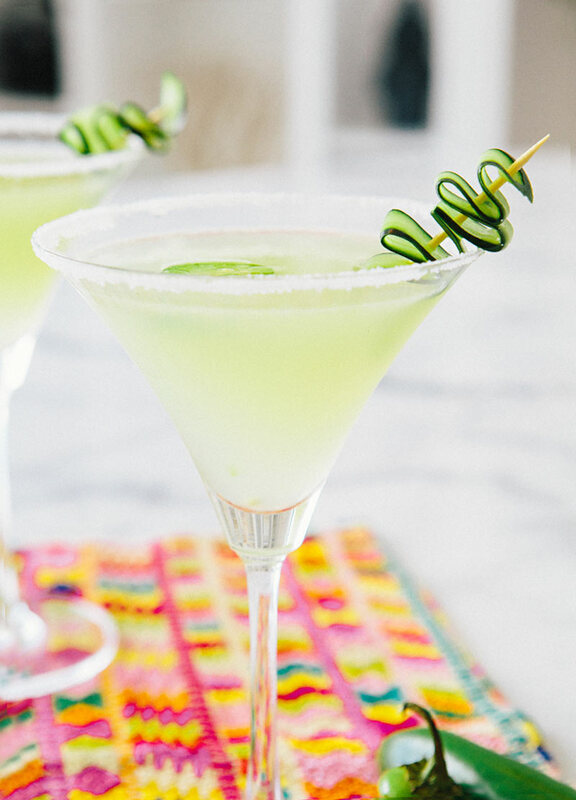 Run a lime wedge around the rim of the martini glass. Dip martini glass into the salt, you can use sugar here too if you prefer! Strain contents of shaker into martini glass. 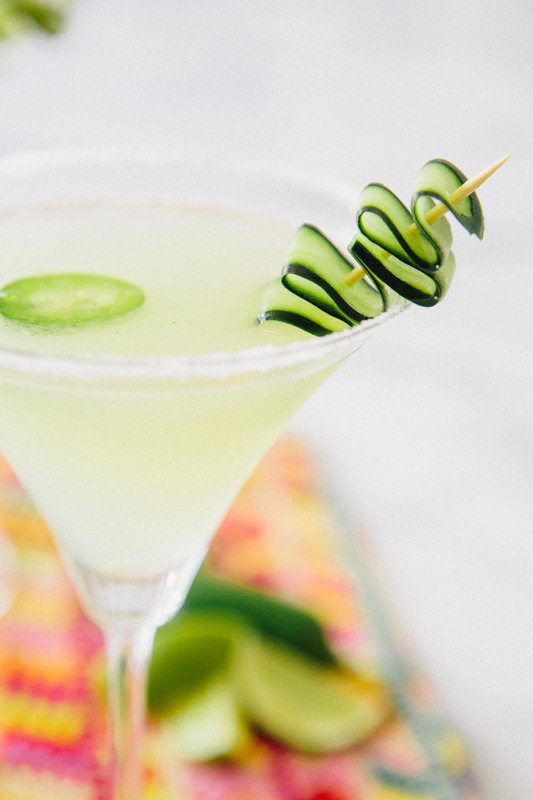 Garnish with a jalapeño slice and a sliver of cucumber. 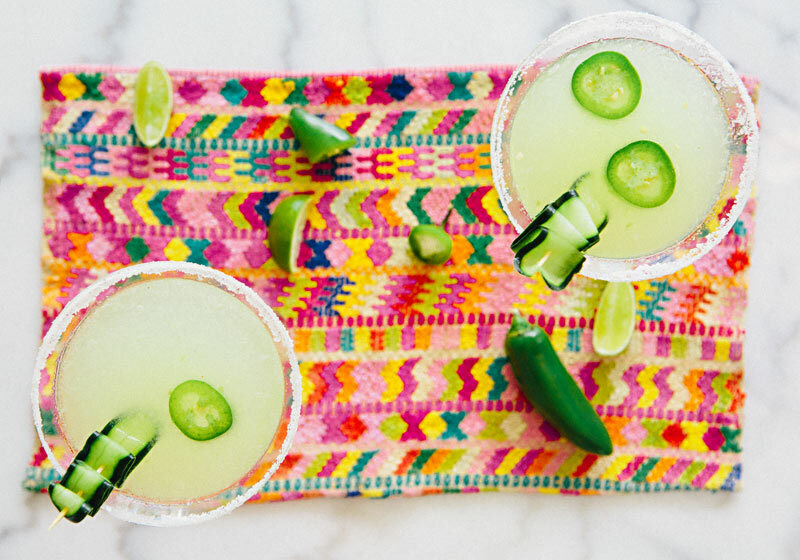 If you only want a little heat, and a lot of citrus, use 1 jalapeño slice and more lime! To make the cucumber garnish, run a peeler along the entire length of a cucumber, fold accordion style and secure with a toothpick! This looks so wonderful and the colour is so summery! 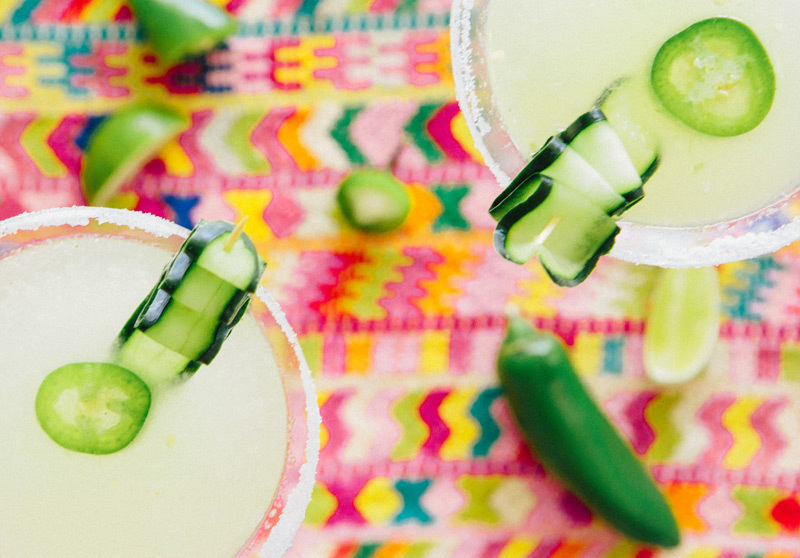 All of the drinks you make literally make my mouth water! Pinned and cant wait to try. Sounds so refreshing! Yay, I think I have everything in my pantry to make this cocktail! Well, excepted for jalapenos… I can’t seem to find some here in France, we’re not very fond of chiles… I’ve started growing my own but they’re just sprouts for the moment so I guess I have to wait a bit more, and that I have to make this cocktail without them! I’m sure it will be great though! I adore the squiggly little cucumber. This is so fancy and gorgeous! 8/4/2014 I’ve never had a martini,but it looks so good,i could drink gallons of that delicious green,cool looking drink[it looks like a popsicle]I could come up with the vegetables and vodka,but not the Cointreau[borrow some from a local bar?] or simple syrup.how about a cold beer ,downtown,for 1.50?not every day of the week.oh,you’re not yourself…we can tell when you’re you. I can vouch for this great tasting drink. We have a Restaurant here in Austin Texas, (Serrano’s ) they make this drink as their signature drink. I am hooked on this unique taste. Thanks for the recipe. Im going to try this tonight with my girlfriend. i hope it tastes as good as it looks ! as well as video clips on how you can begin in equine riding. Very quickly, you’ll have a clever horse that knows that to quit he just needs to buck.